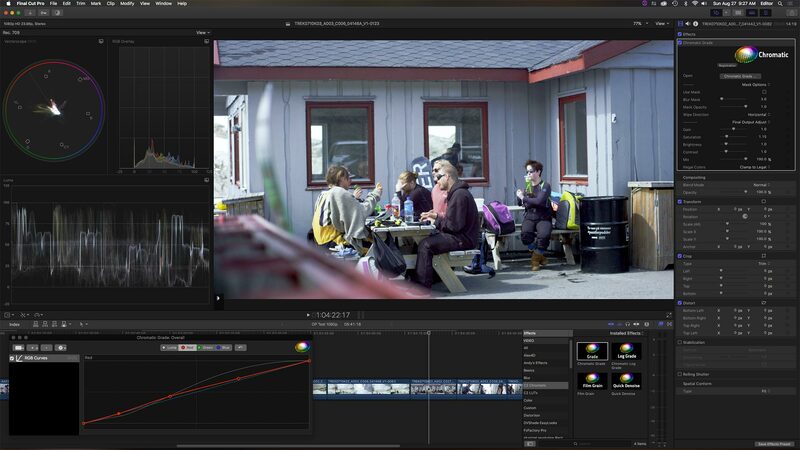 One way in which Apple’s Final Cut Pro X has altered editing styles is through the use of effects built as Motion templates, using the common engine shared with Apple Motion. 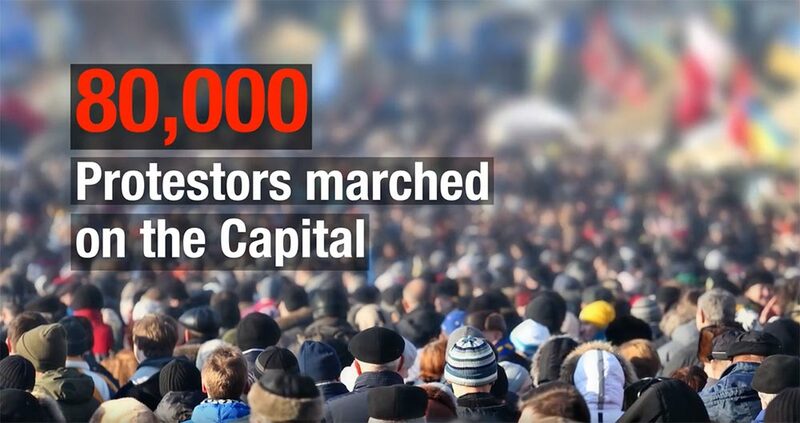 There are a number of developers marketing effects templates, but the biggest batch can be found at the Fxfactory website. A regular development partner is idustrial Revolution, the brainchild of editor (and owner of FCP.co) Peter Wiggins. Wiggins offers a number of different effects packages, but the group marketed under the XEffects brand includes various templates that are designed to take the drudgery out of post, more so than just being eye-catching visual effects plug-ins. 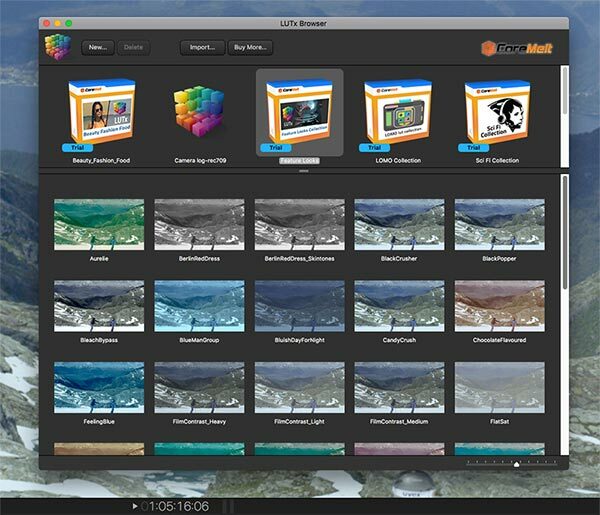 XEffects includes several packages designed to be compatible with the look of certain styles of production, such as news, sports, and social media. 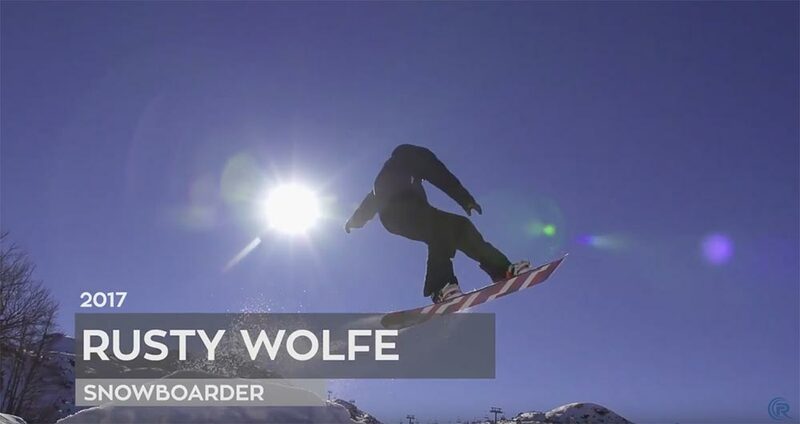 These packages are only for FCP X and come with modifiable, preset moves, so you don’t have to build complex title and video moves through a lot of keyframe building. 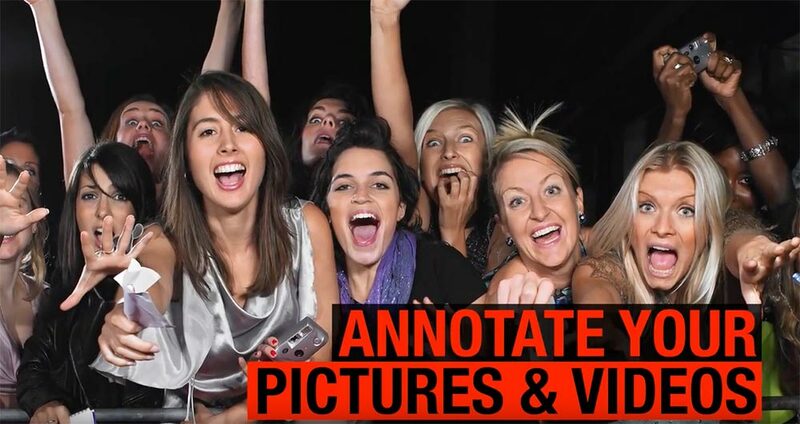 The latest is XEffects Viral Video, which is a set of moves, text, and banners that fit in with the style used today for trendy videos. The basic gist of these effects covers sliding or moving banners with titles and templates that have been created to conform to both 16:9 and square video projects. In addition, there are a set of plug-ins to create simple automatic moves on images, which is helpful in animating still photos. Naturally several title templates can be used together to create a stacked graphic design. 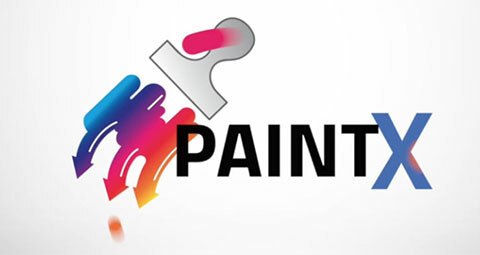 Another company addressing this market is Rampant Design Tools with a series of effects templates for both Apple Final Cut X and Adobe Premiere Pro CC. 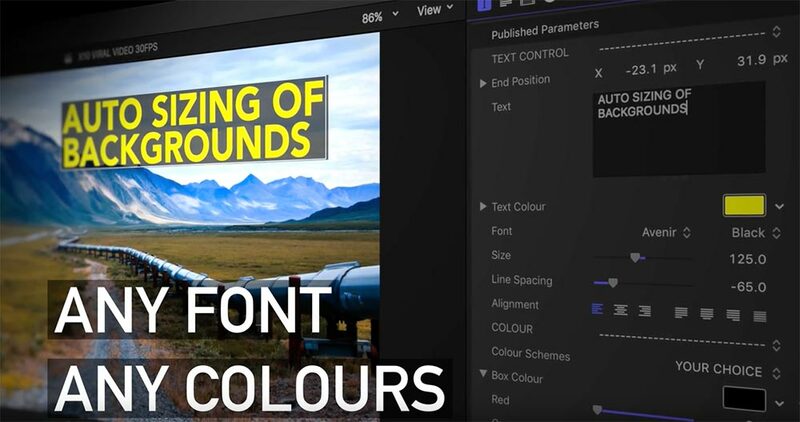 Their Premiere Pro templates include both effects presets and template projects. The effects presets can be imported into Premiere and become part of your arsenal of presets. For example, if you what to have text slide in from the side, blurred, and then resolve itself when it comes to rest – there’s a preset for that. Since these are presets, they are lightweight, as no extra media is involved. The true templates are actually separate Premiere Pro template projects. Typically these are very complex, layered, and nested timelines that allow you to create very complex effects without the use of traditional plug-ins. 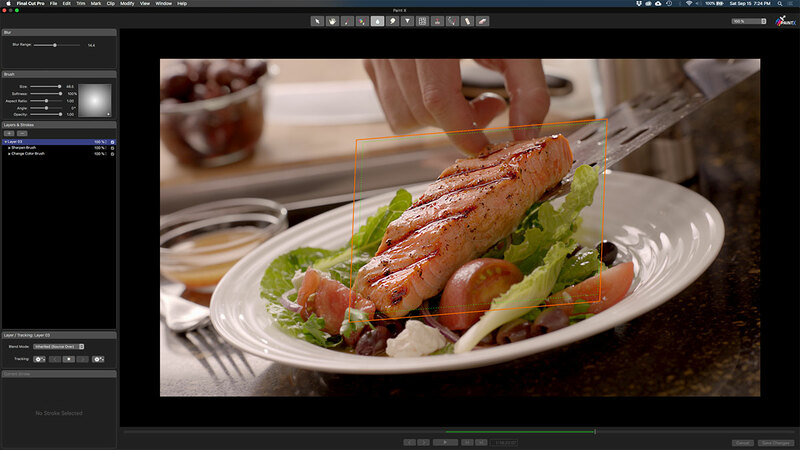 These projects are designed to easily guide you where to place your video, so no real compositing knowledge is needed. Rampant has done the hard part for you. 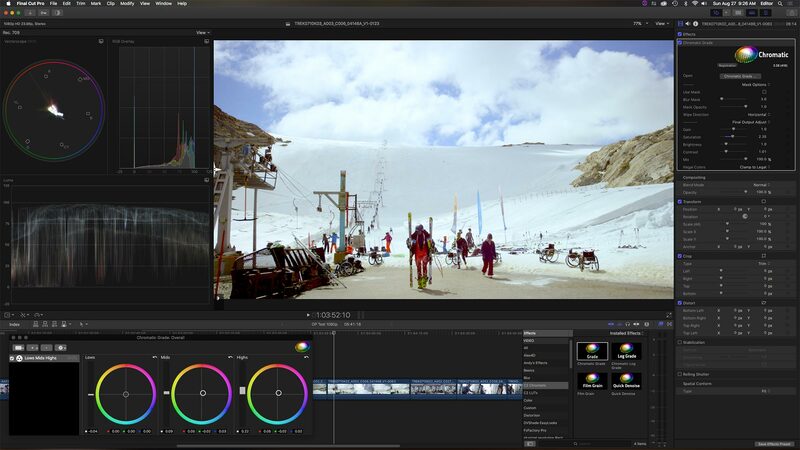 As with any Premiere Pro project, you can import the final effects sequence into your active project, so there’s no need to touch the template project itself. However, these template projects do include media and aren’t as lightweight as the presets, so be mindful of your available hard drive space. 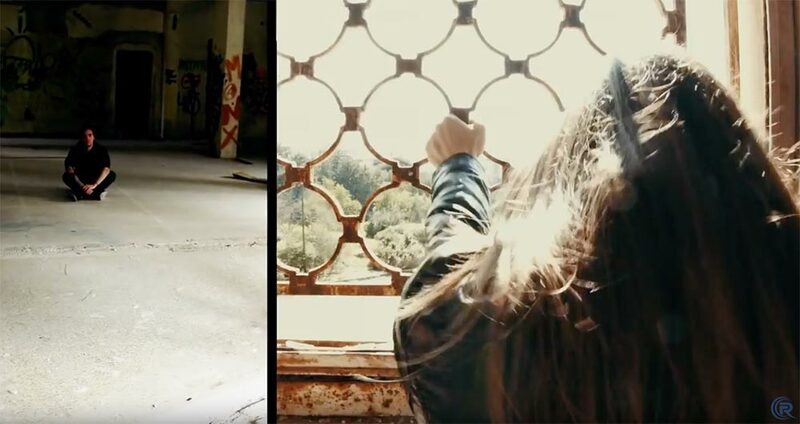 For Final Cut Pro X, Rampant has done much the same, creating both a set of installable Motion template effects, like vignette or grain, as well as more complex FCP X Libraries designed for easy and automatic use. As with the Premiere products, some of these Libraries contain media and are larger than others, so be mindful of your space. Both of these approaches offer new options in the effects market. These developers give you plug-in style effects without actually coding a specific plug-in. This makes for faster development and less concern that a host application version change will break the plug-in. As with any of these new breed of effects, the cost is much lower than in the past and effects can be purchase a la carte, which enables you to tailor your editor’s tool bag to your immediate needs. If you edit with Final Cut Pro – either the classic and/or new version – then you are familiar with two of its long-running plug-in developers. Namely, FxFactory (Noise Industries) and CrumplePop. Last year the two companies joined forced to bring the first audio plug-ins to the FxFactory plug-in platform. CrumplePop has since expanded its offerings through FxFactory to include a total of six audio and video products. These are AudioDenoise, EchoRemover, VideoDenoise, AutoWhiteBalance, EasyTracker, and BetterStabilizer. Like much of the eclectic mix of products curated through FxFactory, the CrumplePop effects work on a mix of Apple and Adobe products (macOS only). You’ll have to check the info for each specific plug-in to make sure it works with your application needs. These are listed on the FxFactory site, however, this list isn’t always complete. 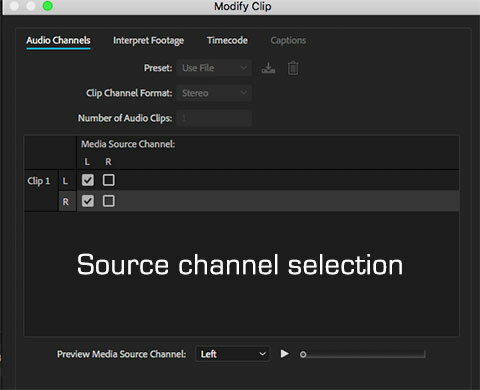 For example, an effect that is listed for Premiere Pro may also work in After Effects or Audition (in the case of audio). 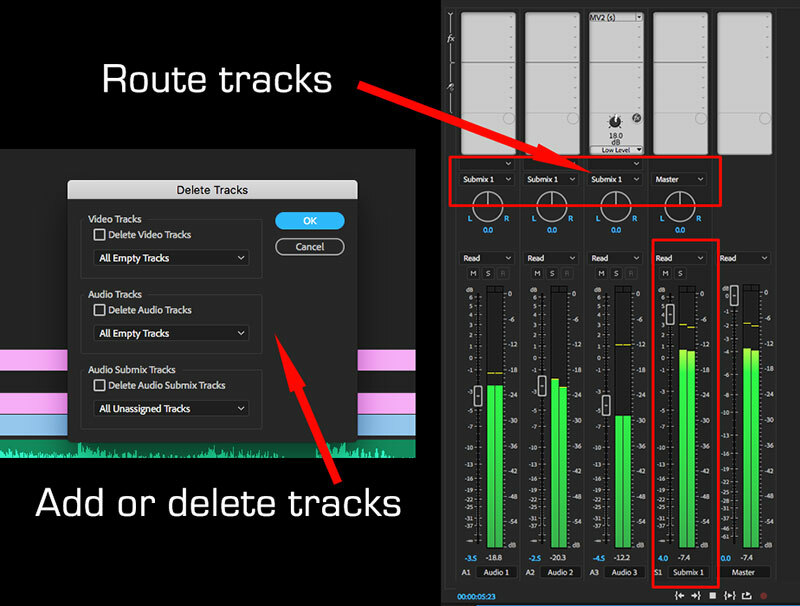 While most are cross-application compatible, the EasyTracker effect only works in Final Cut Pro X. On the other hand, the audio filters work in the editing applications, but also Audition, Logic Pro X, and even GarageBand. 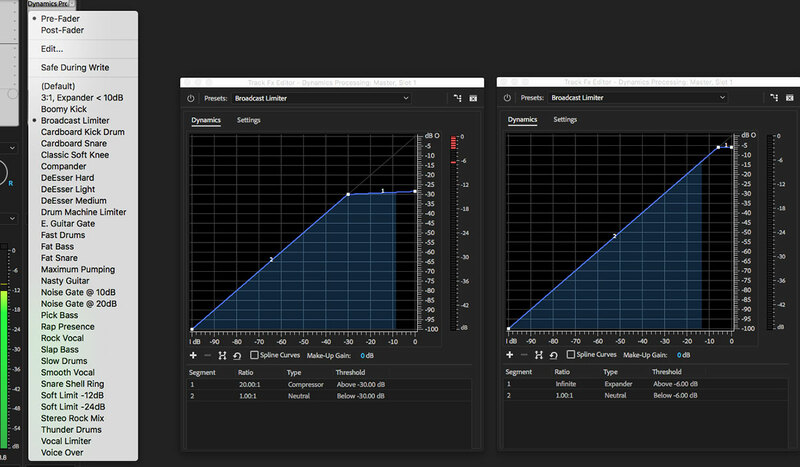 As with all of the FxFactory effects, you can download a trial through the FxFactory application and see for yourself, whether or not to buy. I’ve tested several of these effects and they are simple to apply and adjust. The controls are minimal, but simplicity doesn’t mean lack of power. Naturally, whenever you compare any given effect or filter from company A versus company B, you can never definitively say which is the best one. Some of these functions, like stabilization, are also available within the host application itself. Ultimately the best results are often dependent on the individual clip. In other words, results will be better with one tool or the other, depending on the challenges presented in any given clip. Regardless, the tools are easy to use and usually provide good results. In my testing, a couple of the CrumplePop filters proved very useful to me. 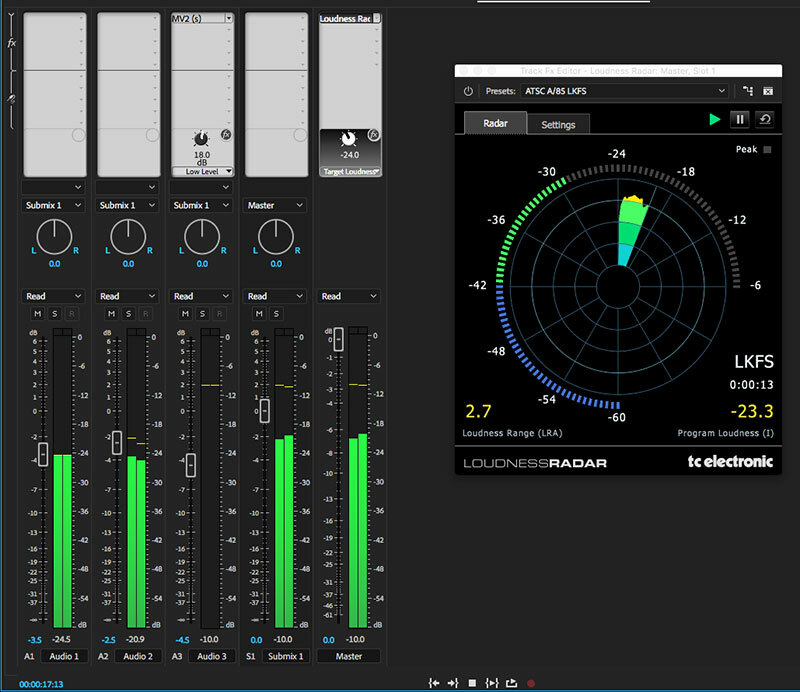 EchoRemover is a solid, go-to, “fix it” filter for location and studio interviews, voice overs, and other types of dialogue. Often those recordings have a touch of “boominess” to the sound, because of the room ambience. EchoRemover did the trick on my trouble clip. The default setting was a bit heavy-handed, but after a few tweaks, I had the clean track I was looking for. EasyStabilizer is designed to tame shaky and handheld camera footage. There are several starting parameters to choose from, such as “handheld walking”, which determine the analysis to be done on the clip. One test shot had the camera operator with a DSLR moving around a group of people at a construction site in a semi-circle, which is a tough shot to stabilize. Comparing the results to the built-in tools didn’t leave any clear winner in my mind. Both results were good, but not without some, subtle motion artifacts. I also tested EasyTracker, which is designed for only Final Cut Pro X. I presume that’s because Premiere Pro and After Effects already both offer good tracking. Or maybe there’s something in the apps that makes this effect harder to develop. In any case, EasyTracker gives you two methods: point and planar. 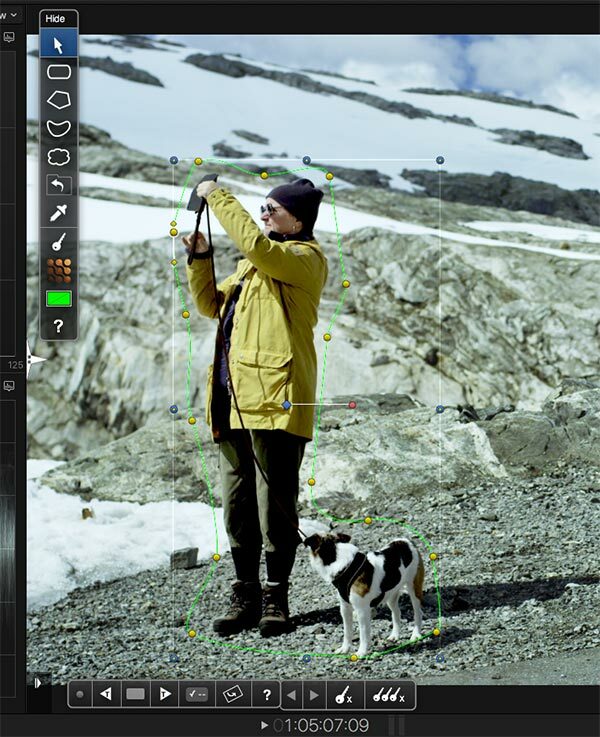 Point tracking is ideal for when you want to pin an object to something that moves in the frame. Planar is designed for tracking flat objects, like inserting a screen into phone or monitor. When 3D is enabled, the pinned object will scale in size as the tracked object gets larger in the frame. UPDATE: I had posted earlier that the foreground video seemed to only work with static images, like graphic logos, but that was incorrect. The good folks at CrumplePop pointed me to one of their tutorials. The trick is that you first have to make a compound clip of the foreground clip and then it works fine with a moving foreground and background image. Like other FxFactory effects, you only buy the filter you want, without a huge investment in a large plug-in package, where many of the options might go unused. 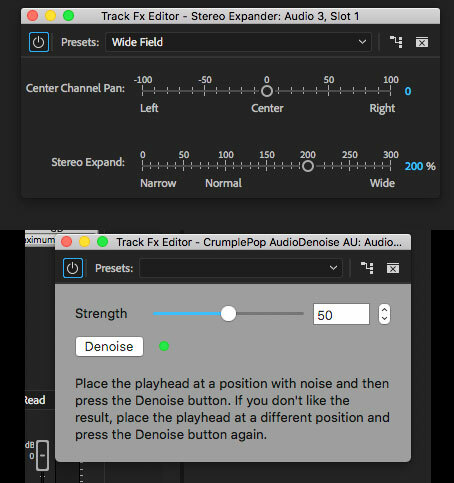 It’s nice to see FxFactory add audio filters, which expands its versatility and usefulness within the greater Final Cut Pro X (and Premiere Pro) ecosystem. 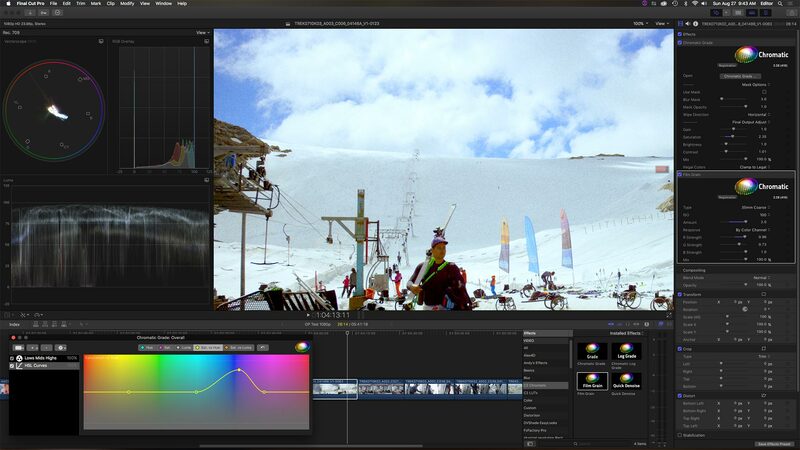 Editors often face the dilemma of dealing with less-than-perfect footage. Focus is the bane of this challenge, where you have the ideal shot, but the operator missed the optimal focus, leaving a useable, albeit soft, image. 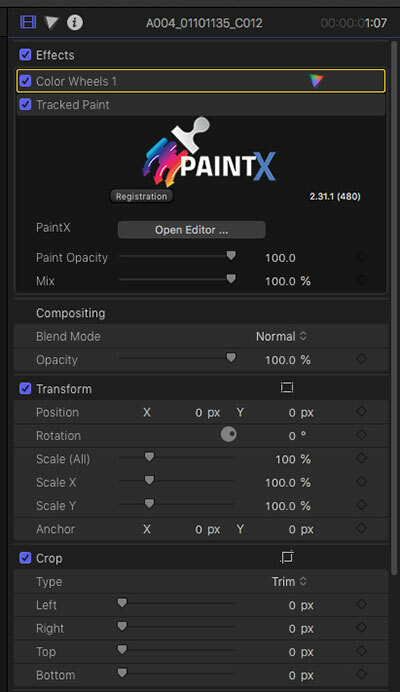 Editing and compositing apps offer a number of built-in and third-party sharpen and unsharp mask filters that can be employed as a fix. While you can’t really fix the focus issue, you can sharpen the image so that it is perceived by the viewer as being better in focus. All of these filters work on the concept of localized contrast. This means that any dark-to-light edge transition within the image is enhanced and contrast in that area is increased. The dark area is darkened and the brighter part enhanced. This creates a halo effect, which can become quite visible as you increase the amount of sharpening, but also quite obnoxious when you push the amount to its full range. A little bit improves the image – a lot creates an electric, stylized effect. 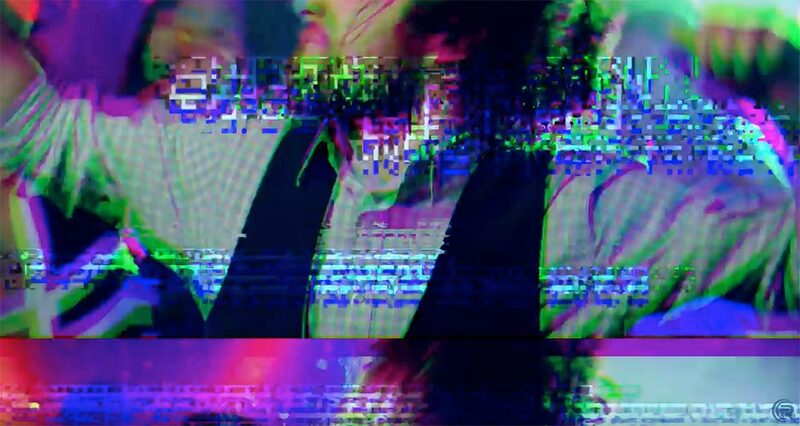 One of the better sharpening filters on the market is Digital Anarchy’s Samurai Sharpen, which is available for Apple Final Cut Pro X, Adobe Premiere Pro CC and After Effects CC. (According to their website, Avid and OpenFX plug-ins are in development and coming soon.) What makes Samurai Sharpen different is that it includes sophisticated masking in order to restrict the part of the image to be sharpened. For example, on a facial close-up, you can enhance the sharpness of eyes without also pushing the skin texture by an unflattering amount. Yet, you still have plenty of control to push the image into a “look”. For example, the photographic trend these days seems to be photos with an obvious over-sharpened look for dramatic appeal. If you want subtle or if you want to stylize the image, both are achievable with Samurai Sharpen. The effect controls are divided into three groups – Sharpen, Mask and Blend. The top three sharpen controls are similar to most other filters. Amount is self-explanatory, radius adjusts the size of the localized contrast halo, and edge mask strength controls the mask that determines what is or isn’t sharpened. The edge mask strength range markings might seem counter-intuitive, though. All the way to the left (0) means that you haven’t increased the mask strength, therefore, more of the image is being sharpened. In our facial close-up example, more texture (like the skin) and noise (background) would be sharpened. If you crank the slider all the way to the right (50), you have increased the mask strength, thus less of the image is being sharpened. For the face, this means the eyes and eyelashes are sharpened, but the skin stays smooth. The handy “show sharpening” toggle renders a quick hi-con image (mask) of the area being sharpened. The real power of Samurai Sharpen is in the Mask Group. You have two controls each for shadow and highlights, as well as an on/off toggle to enable shadow and/or highlight masking. These four sliders function like a curves control, enabling you to broaden or restrict the range of dark or light portions of the image that will be affected by the sharpening. Enabling and adjusting the shadow mask controls lets you eliminate darker background portions of the image from being sharpened. You don’t want these areas sharpened, because it would result in a noisier appearance. The mask can also be blurred in order to feather the fall-off between sharpened and unprocessed portions of the image. 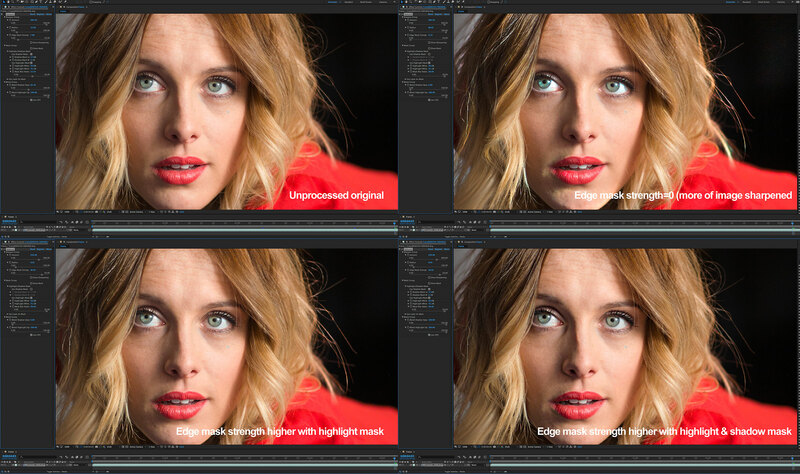 Finally, there’s a layer mask control in this group, which shows up a bit differently between the Adobe apps and FCPX. Essentially it allows you to use another source to define your sharpening mask. The last section is the Blend Group. 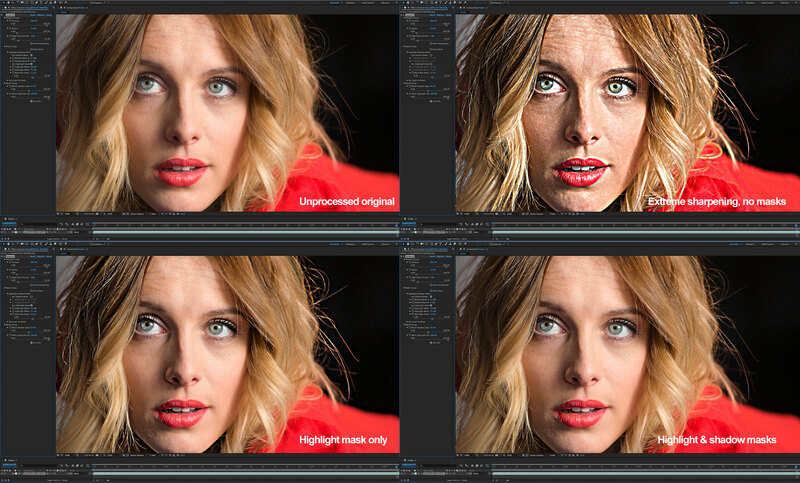 This offers slider adjustments for the opacity of the shadow and highlight masks created in the Mask Group section. GPU acceleration results in an effect that is quick to apply and adjust, along with good playback performance. While there are many free sharpening tools on the market, Digital Anarchy’s Samurai Sharpen is worth the extra for the quality and control it offers. 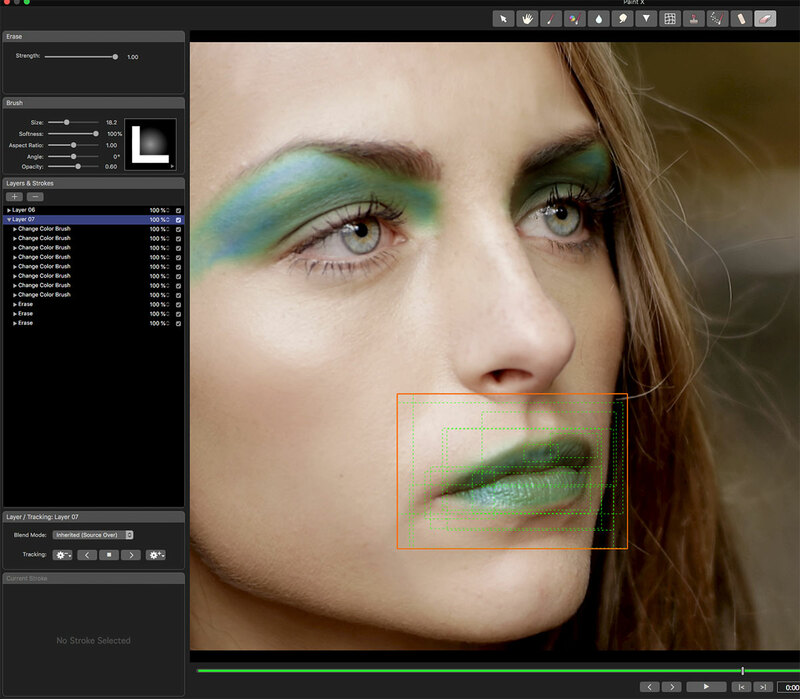 Along with Beauty Box and Flicker Free, they offer a nice repertoire of image enhancement tools.